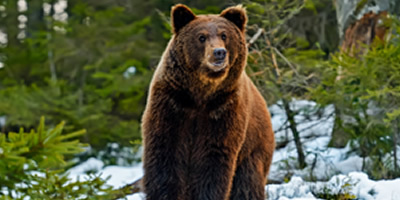 "Engaging Instructor, Good Visuals, & Interesting Subject"
This Instructor-led 3.5 Hour Course Teaches Safe Wilderness Travel, Bear Awareness Strategies & Tactics to Help Survive a Wildlife Encounter. Bear Awareness is an Important Part of all Wildlife Awareness Courses, but not the only aspect. Don't sell yourself short by taking only a Bear Awareness Course. 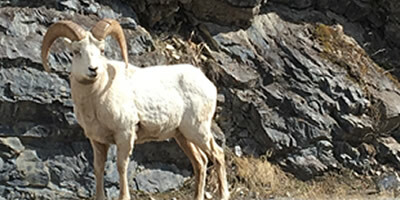 "The Most Valuable part was Learning the Dangers of all the Different Animals"
"I am now Better Prepared to enjoy my Camping & Hunting Trips"
This Course is designed to make you or your staff Aware of Common Wildlife Threats and to become respectful of wildlife in the Canadian Wilderness. We Identifying Predator Species, other Wildlife Threats and how to Mitigate Wildlife Interactions. This includes Coexistence and Avoidance Strategies for various types of Wildlife including; Polar, Grizzly & Black Bears, Cougars, Wolves, Coyotes, Wolverines, Ungulates, Wild Boars & Feral Pigs, Rodents, Scavenger Birds, Bats, Snakes and Insects. We study the Safe Use of Wildlife Deterrents including Bear Spray & Bear Bangers. Teaching both how to reduce deadly encounters and the reducing the destruction of wildlife. Studying Safe Practices for both expected and unexpected Overnight Stays in the Wilderness. Learn to Travel and Work Safely in the Wilderness in this Highly Education Safety Oriented Seminar. "Excellent Instructor, Very Knowledgable and Enthusiastic"